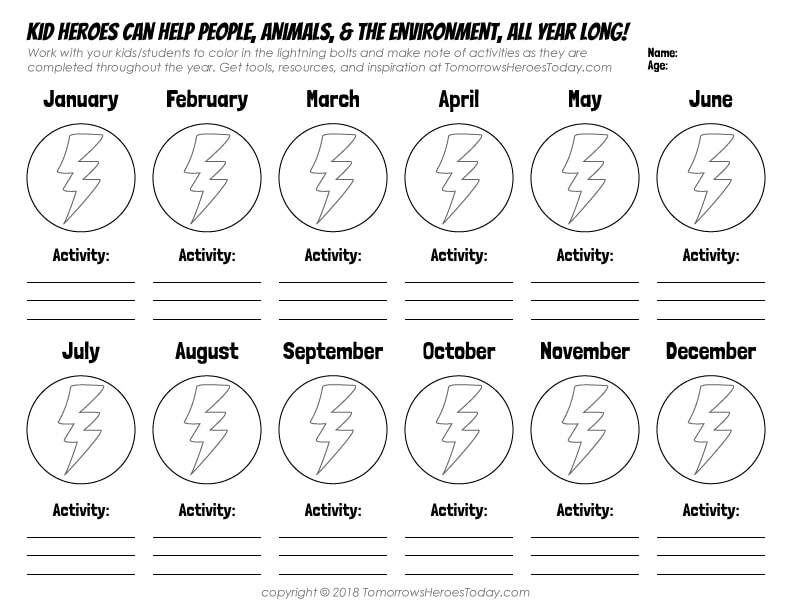 Kid Heroes can help people, animals, and the environment, all year long! 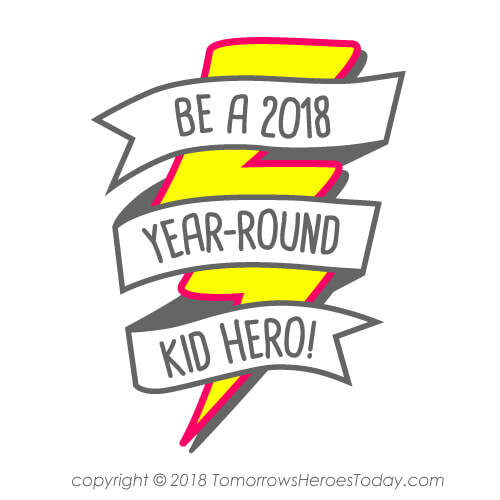 1) Ask your kids/students what it means to be a hero and have them fill out our FREE printable template (download below). 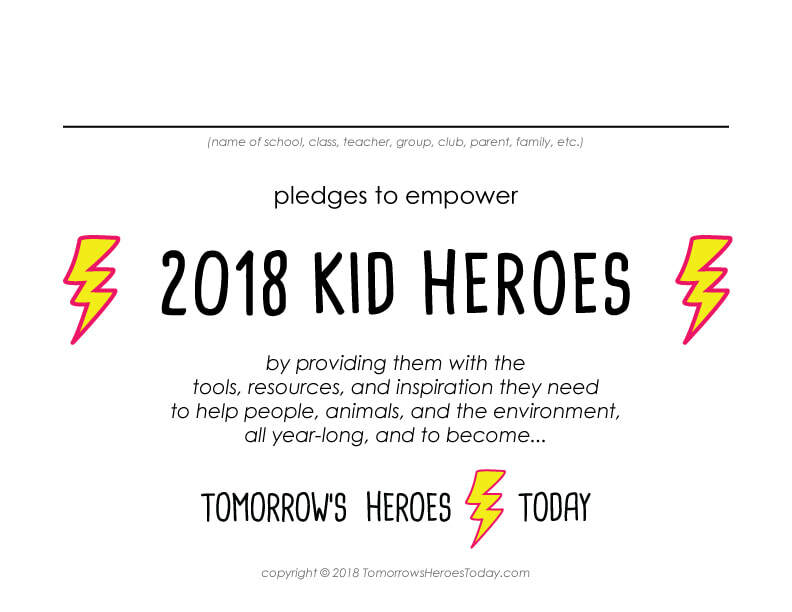 2) Pledge to empower KID HEROES and hang our FREE certificate where your students/kids can see it (download below). 3) Track activities to commemorate accomplishments throughout the year with our FREE activity tracker (download below). **BONUS) Enter for a chance to win a $100 party prize pack for your class, club, group, or family! (see rules & restrictions below). ---> CONTEST CLOSED AND WINNER AWARDED! But you can still participate and make a difference, by following steps 1), 2) and 3) above!